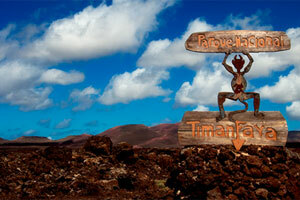 Although many visitors never leave their resorts, Lanzarote's lunar landscape attracts ever more sport fans. 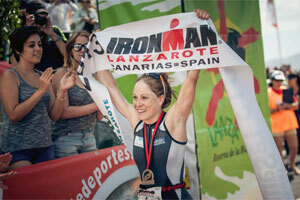 Some of the world's most challenging events take place on the island, including the world-class Ironman Lanzarote Canarias Triathlon Spain. 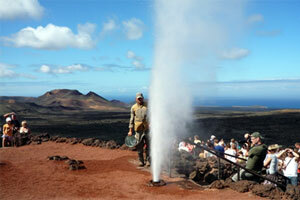 Volcanic island that is a major tourism destination for sun, beaches, nature and sports. UNESCO Biosphere Reserve since 1993, with 12 (more than 40%) protected natural areas. 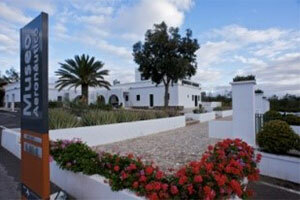 Oenology destination with vineyards adapted to guided visits with five different vineyards. Strong interest of local authorities in opening new routes. 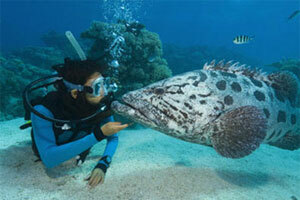 Its features make it a highly recommended location for fans of diving. 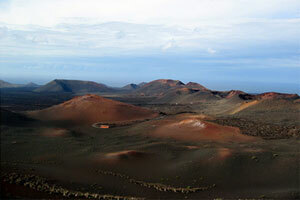 A series of volcanic eruptions hit Lanzarote three centuries ago, creating a truly unique landscape. Although the island remained off the beaten track for many years, it is now benefiting from the trend away from mass tourism. 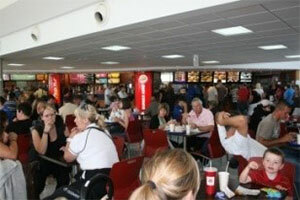 Local authorities are keen on improving the island's connectivity. 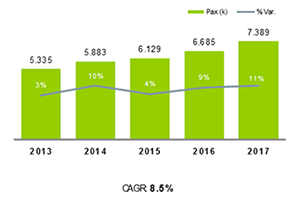 The Spanish Governement has approved an 11% reduction in all the airport charges in the period 2017-2021 (2.2% annually). It will be effective as of 1 March 2017. Aena collaborates on an ongoing basis with airlines on aspects such as organising events relating to first flights, advertising in media belonging to Aena, press releases, publicity on social networks, information to travel agencies associations etc. 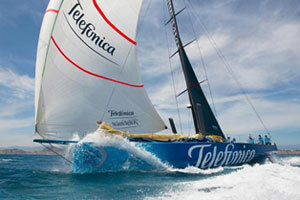 All of this is geared towards achieving greater visibility and publicity for the launch of new routes or new bases. 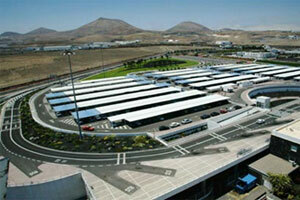 The map shows other airports operated by Aena close to Lanzarote (the green square). There are 2.1 million people living across the Canary Islands. 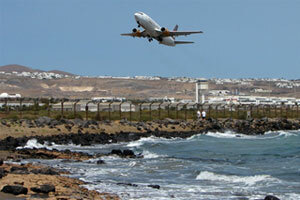 147,000 people are living in Lanzarote. 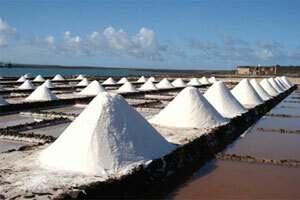 Fruit, long-matured wine, and sea salt are the export trademarks of Lanzarote. Their production reflects the difficult cultivation conditions on the lava-covered island and has grown to become a tourist attraction in its own right. For freight opportunities, click here. Canary Islands Special Zone (ZEC). A low Corporation Tax Zone (4%) that promotes the establishment of new businesses, conditional upon minimum levels of investment and job creation. Discount for production of tangible assets. An incentive that offers a 50% reduction on tax liability on profits attributed to production and industrial activities. 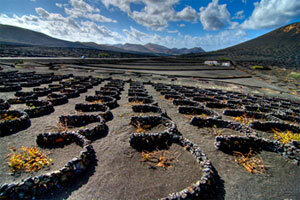 Canary Islands General Indirect Tax. 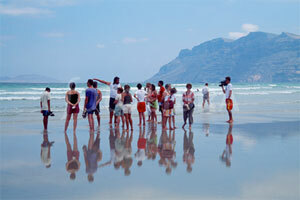 A tax that is similar to VAT but specific to the Canary Islands and with lower applicable rates. The general rate is 7%. Special taxes. The taxes on fuels, alcoholic drinks, and certain types of transport are significantly lower than those in the rest of the EU. 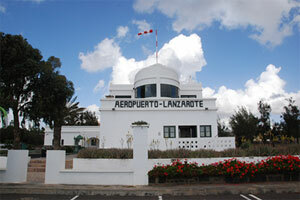 Lanzarote Airport handled over six million passengers in 2016. 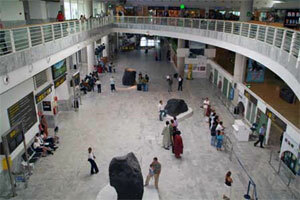 After new facilities were built in 1999, the original terminal was turned into a museum. New services from the likes of Amsterdam, Barcelona, London Stansted, Birmingham, Brest and Paris CDG were welcomed to the island during 2017. 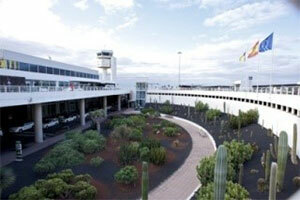 Lanzarote Airport is five kilometres from Arrecife, the island’s capital city, between the city limits of San Bartolomé and Tías. 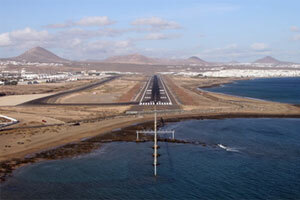 Access to the airport from the Arrecife-Yaiza (LZ-2) motorway. 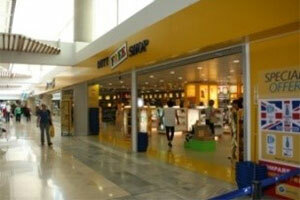 Line 23 – Arrecife-Airport-Playa Honda. 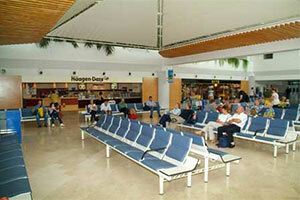 Line 161 – Playa Blanca-Puerto del Carmen-Airport. 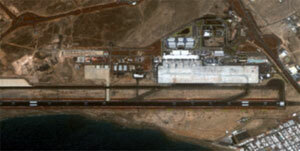 Line 261 – Playa Blanca-Puerto del Carmen-Airport. 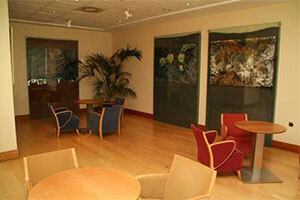 Operating hours: Summer 06:00 – 00:00; Winter 07:00 – 01:00. 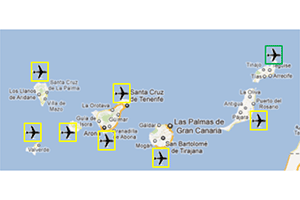 Terminals: T1 (domestic and international flights) and T2 (inter-island flights). Passengers (commercial): 2.0 million domestic passengers; 5.3 million international passengers. 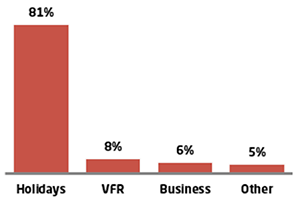 Air Transport Movements: 86% scheduled flights; 14% charter flights. Largest carriers (top five): Ryanair, Binter+Naysa, Thomson Airways, Jet2.com and Thomas Cook Airlines.